Persistent rainfall this winter, and for that matter, for the past several months, led to a spike in the number of water rescues throughout Walker County. This weekend, Firefighters from Huntsville, New Waverly, and Riverside traveled to New Braunfels where they literally immersed themselves in a specialized water rescue class, training in the Guadeloupe River under freezing conditions. 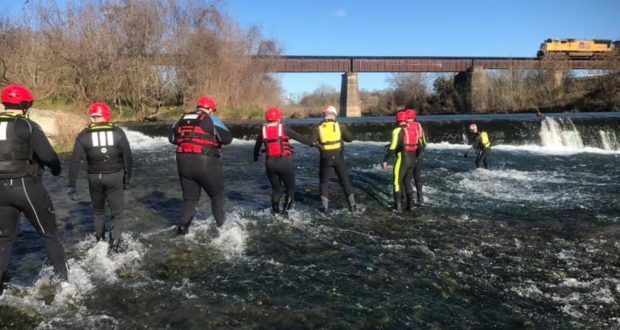 After completing the class, they will join with other certified swiftwater rescue technicians from their home departments and continue training for both swimming and boat based rescues. Walker County Fire Departments operate a total of 4 boats and 3 military style high water vehicles that can be used for both rescue and evacuation of flooded areas. They respond in teams, selecting the equipment needed based on the conditions and type of rescue they encounter. During major disasters or prolonged flooding events, they can be backed up by state and federal resources, including water rescue teams from Texas Task Force 1, based in College Station, and teams from across the state deployed through the Texas Intrastate Fire Mutual Aid System, or TIFMAS for short. Walker County crews can also be deployed to other disaster areas through the TIFMAS system, just as they were deployed to California earlier this year to assist during their devastating west coast wildfire season. Starting with Hurricane Harvey in the fall of 2017, Firefighters throughout the region have been responding to an increasing number of challenging water rescues, mostly due to drivers attempting to navigate flooded roadways. Although there have been some fatalities, all of the victims that initially survived after being swept off the roadway were successfully rescued. Many of them were rescued near their vehicle by boats or high water vehicles, but some had to cling to trees in raging floodwaters before they were rescued, often at night or during heavy rainfall. In an effort to save lives, DPS Troopers have stepped up enforcement, arresting drivers who disregard barricades and drive into floodwaters, not only endangering themselves and their passengers, but their rescuers as well. Disregarding a barricade blocking a flooded roadway is a Class B Misdemeanor, with the same penalty range as driving while intoxicated, as both endanger lives. Drivers charged under this law are arrested and must post a bond and criminal trial. 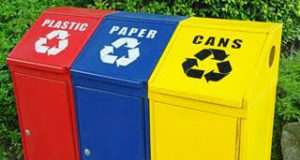 In addition to legal defense fees, they can face fines of up to $2000 and 6 months in jail.